All of our arts and crafts are made in Thailand, by small-scale producers. Over 75% of products are sourced direct from community groups, women's groups, artisans with special needs, and social and environmental projects. Our team support projects initiated by the Thai government, NGOs and green-hearted individuals. 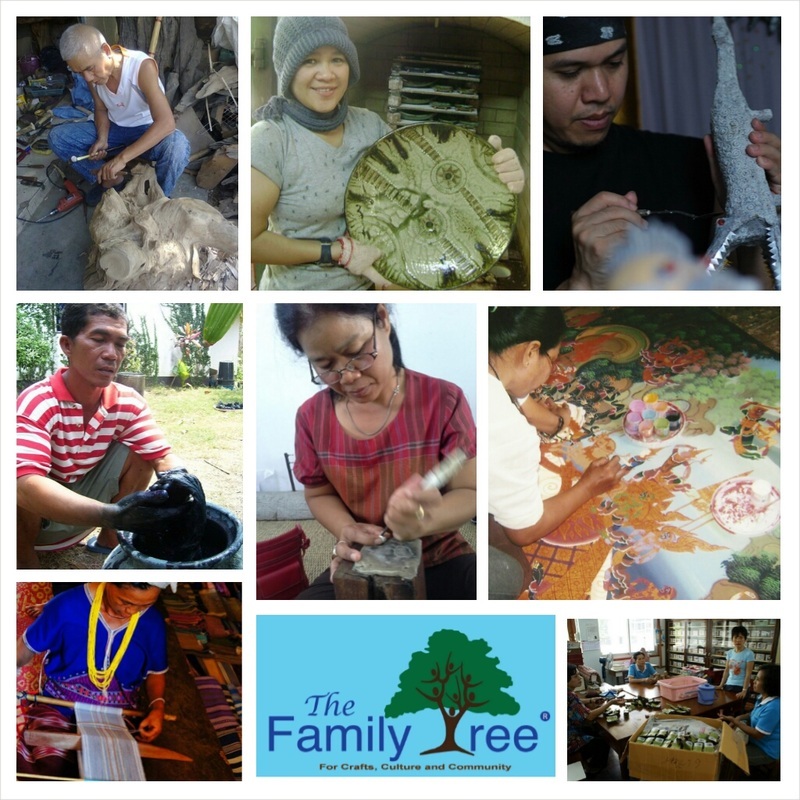 The Family Tree work in partnership with WFTO certified Fairtrade networks. We also support exceptional, independent artisans, who are contributing to the preservation and creative development of Thai arts and culture, as well as small family businesses if they are doing something particularly meaningful or creative. 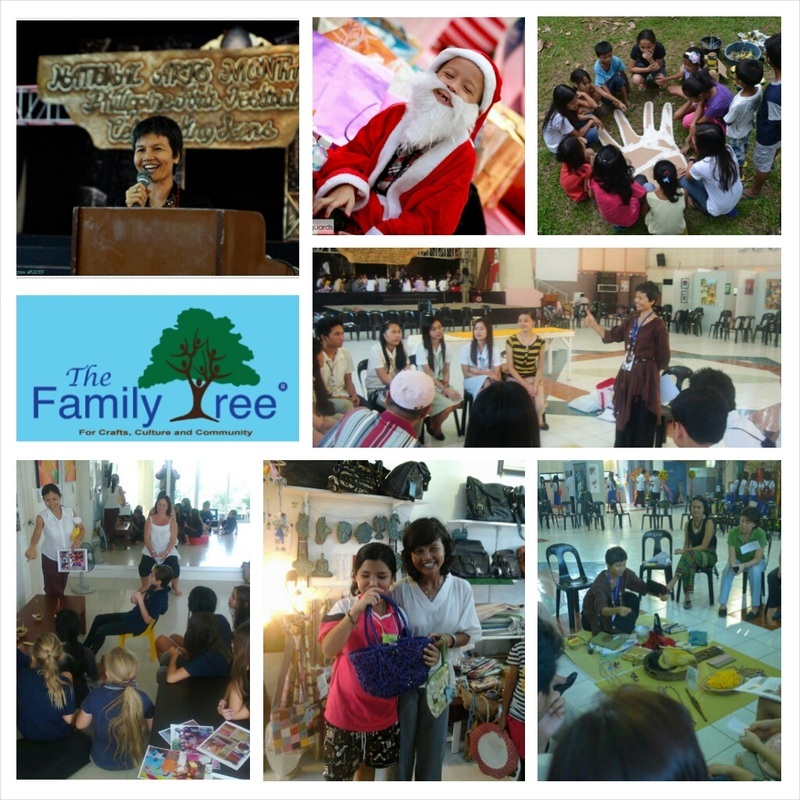 The Family Tree guarantees a fair price to the artisans from whom we buy our arts and crafts. Prices are agreed based on discussion. We try to sell products based on prices which the producers request. We never push artisans to lower their prices. We want to encourage fair pay for artisans and the use of sustainable materials. Our environmental commitment is planting trees, put into action through a long-term project - Greener Tomorrow - which The Family Tree helped to initiate, in partnership with a network of Buddhist Monks and laypeople in 2010. The project is managed by our partners in Chaiyaphum. We have volunteered hundreds of hours coordinating support and assistance. Between 2011-14, the Family Tree donated more than $3800 USD directly towards tree planting. We developed an English language website and Facebook page for the project. We have also raised funds from generous friends and customers. 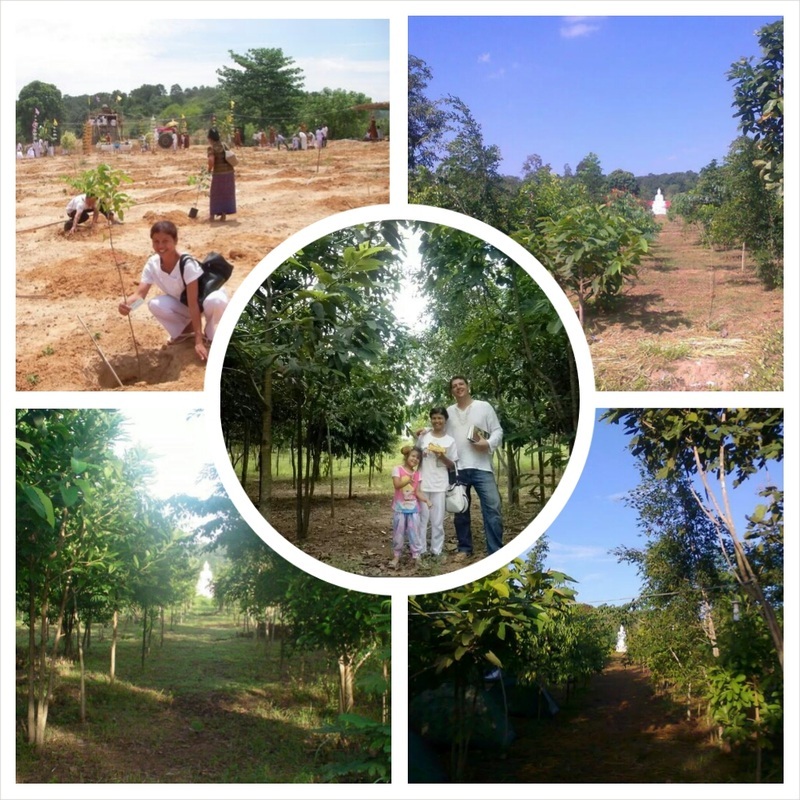 For example, on Thai Mother's Day, 2013, the Family Tree raised 100,000 Thai Baht ($3,000 USD) towards a solar powered pump to irrigate trees planted from 2009-13 (more info). The photos above show tree growth in the same spot, 2009 - 2014. We also support social projects, especially youth work. 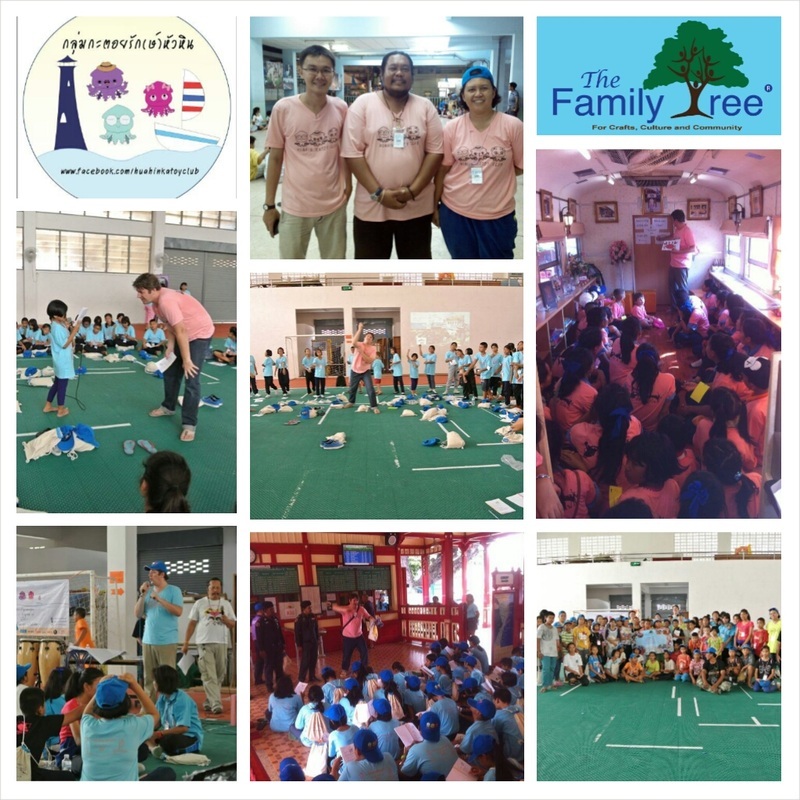 Premruethai has organised free Thai arts and crafts workshops in Thailand and the Philippines, donated to youth environment camps, and organizes our annual Children's Day. Peter is a regular, volunteer English teacher for the local youth club, "Katoy Rak Hua Hin." On the left is the Greener Tomorrow Facebook Fan page. Please 'Like' this page, to receive updates on tree planting. Below, is a short video, explaining more about the tree planting project. The Family Tree: Fair Trade Shopping in Thailand from CATinWATER on Vimeo. For more information and to get involved, please visit the Greener Tomorrow website. Trees planted by the Greener Tomorrow team on World Environment Day 2010. Photo Taken in November 2011.